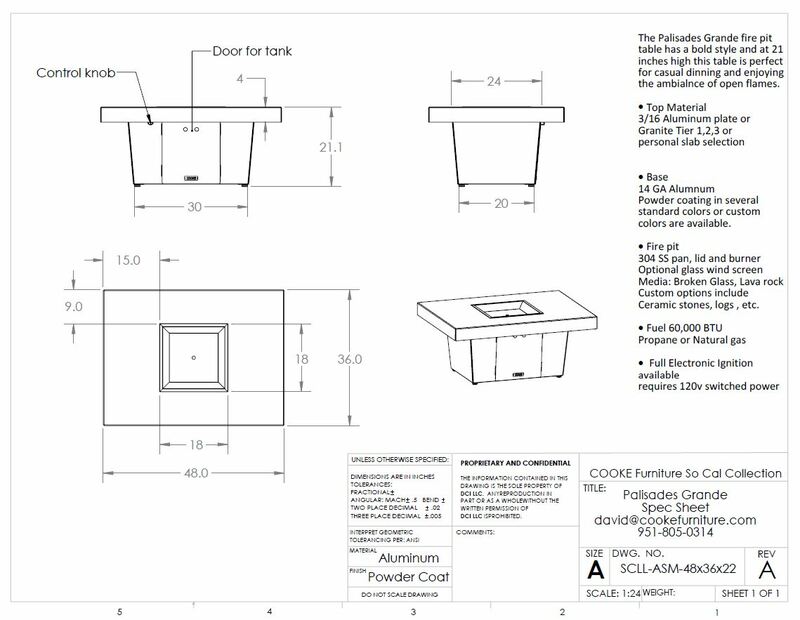 A list of the Cooke Collection and SoCal collection fire pit table specifications. 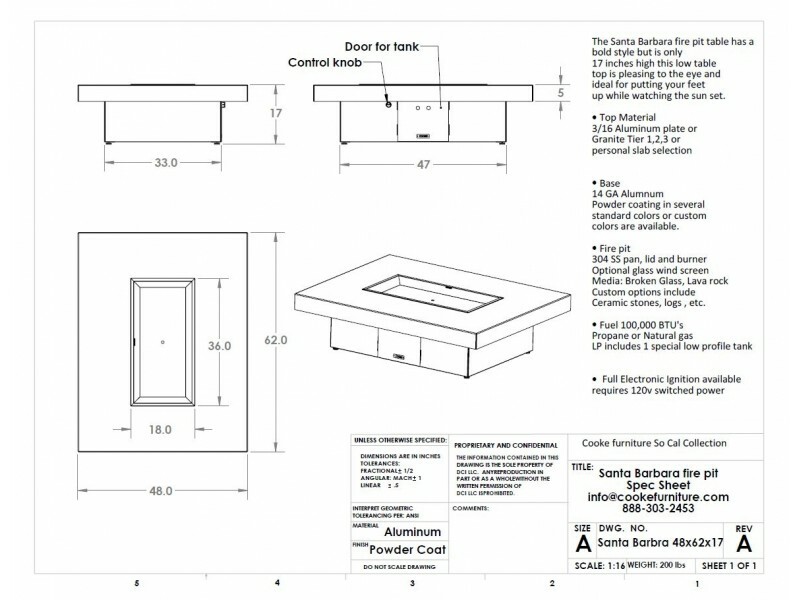 Custom projects are not included here. Santa Monica 44" x 72" x 42"
Santa Monica 44" x 84" x 42"
Santa Monica 44" x 96" x 42"
Santa Monica 44" x 108" x 42"